Indications for analgesia, antidepressant, anxiolytic research, and anti-addiction research. 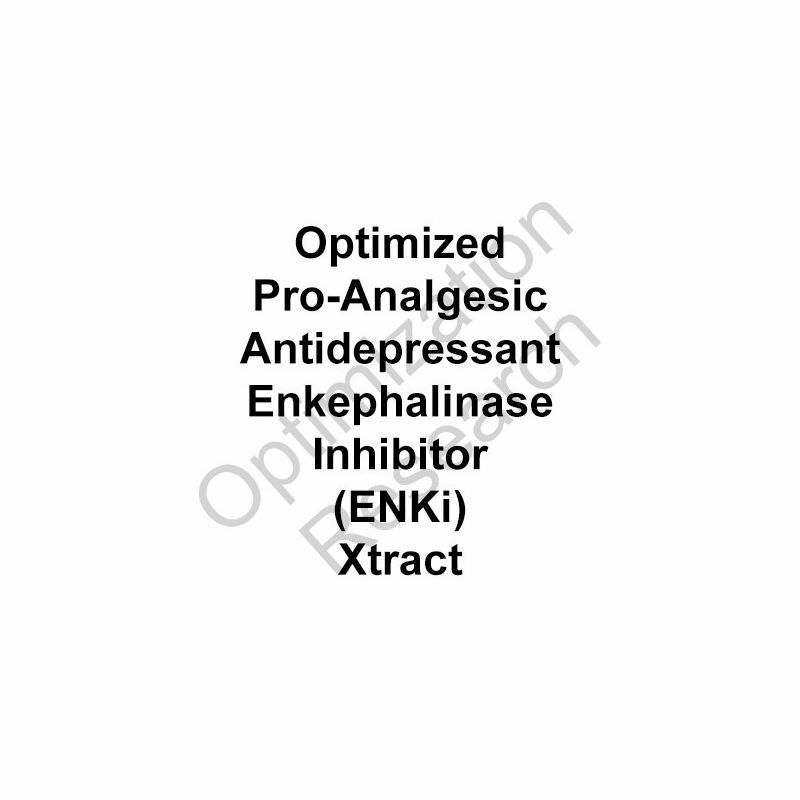 ENKI-OX is a centrally acting, moderately potent, orally bioavailable enkephalinase inhibitor optimized extract intended to foster non-addictive analgesic, anxiolytic, and antidepressant efficacy. Using mice in assays modeling for antidepressant and anxiolytic effects, compared to the active reference Selank (i.p. 0.1mg/kg, 0.2mg/kg, i.p.) 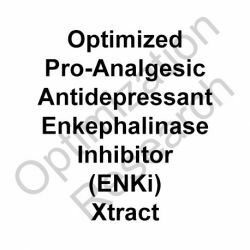 ENKI-OX demonstrated superior efficacy at oral administrations of 5mg/kg, 10mg/kg, and 20mg/kg. ENKI-OX as well dramatically decreased PAWS in animal model assays indicating potent post-acute withdrawal syndrome reduction efficacy. In models of analgesic efficacy ENKI-OX promoted significant efficacy, though significantly lower than that of classical mu-opioid agonists. 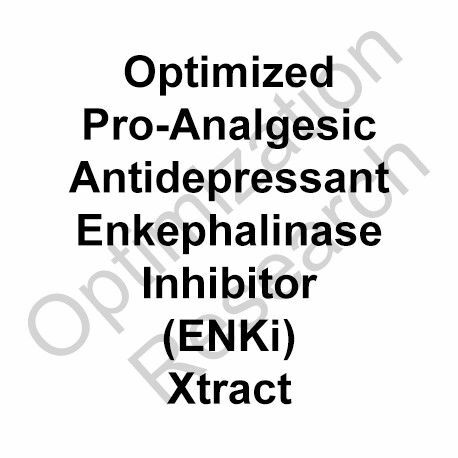 ENKI-OX demonstrated highly significant potentiation of opioidergic analgesics indicating potent analgesic-sparing/tolerance reducing efficacy. ENKI-OX was seen to produce superior results with a dosing administration protocol of five consecutive days of administration followed by five and ten consecutive days of washout. In theory, as an extrapolation from the present animal data, optimium administration for anti-addiction, antidepressant/anxiolytic, and analgesic-sparing indications would comprise 20-80mg q.d. to t.i.d. for courses of 5-10 days with a subsequent washout period of equal time. Solubility: Mostly soluble in hydroethanolic solutions at 40-120mg/ml.